Winter Storm Warnings and Winter Weather Advisories remain in effect for today and tonight. 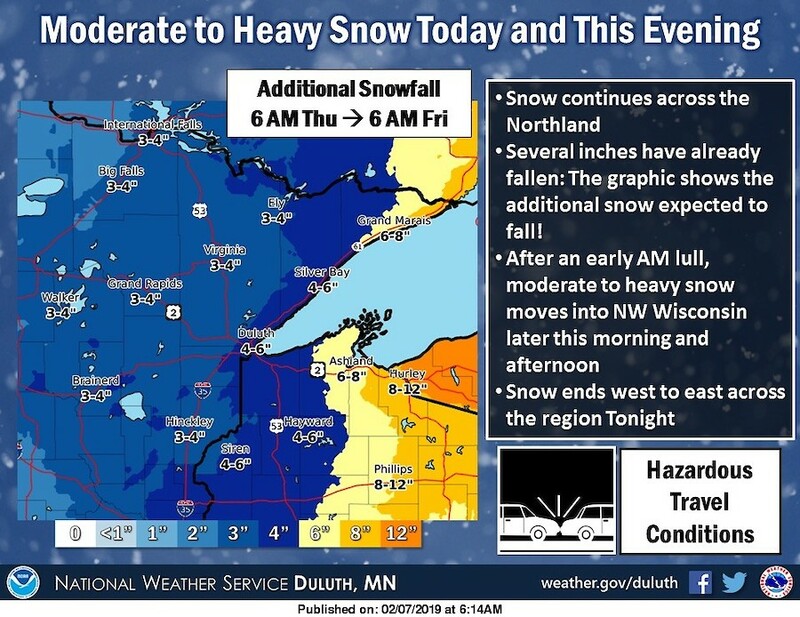 A round of moderate to heavy snow will move into mainly northwest Wisconsin later this morning and this afternoon. 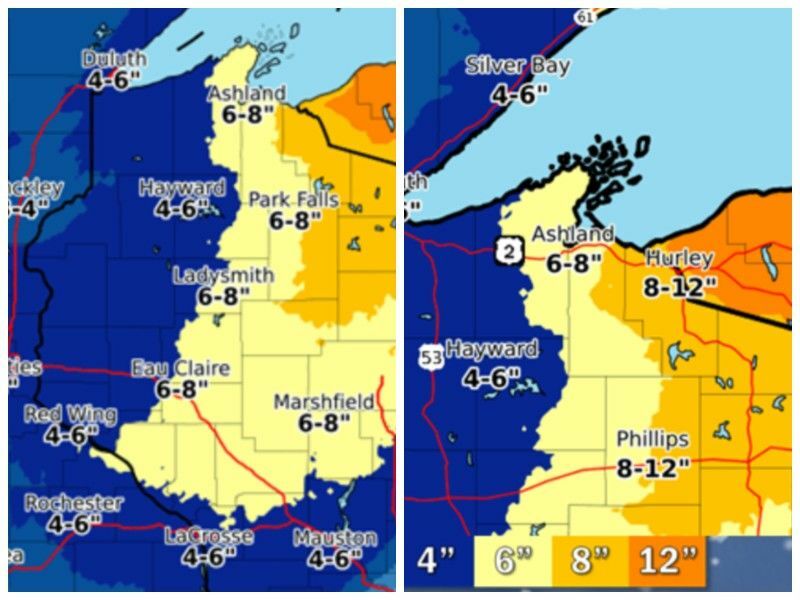 Snow will end from west to east later this evening, except for lingering lake effect snowfall along the South Shore of Lake Superior. 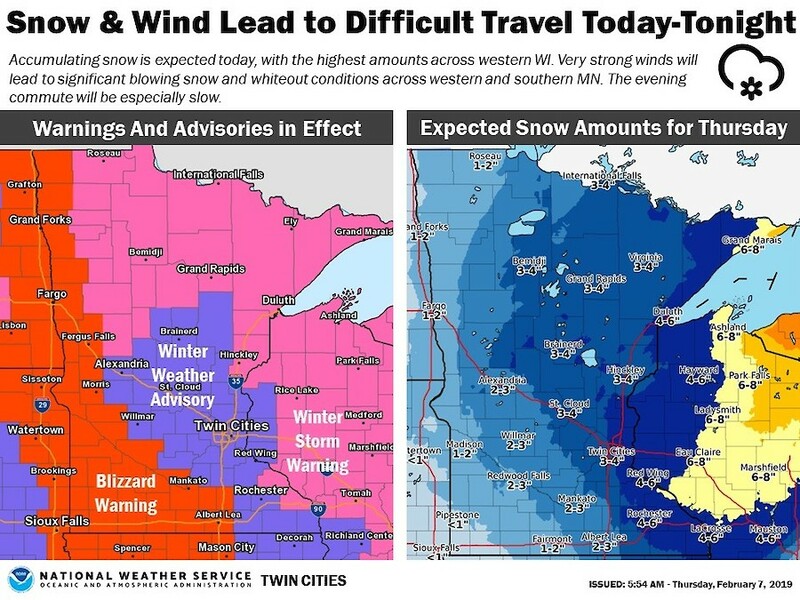 Hazardous travel conditions are likely today and tonight. Take it slow, leave plenty of room in front of you, and allow extra time to reach your destination!